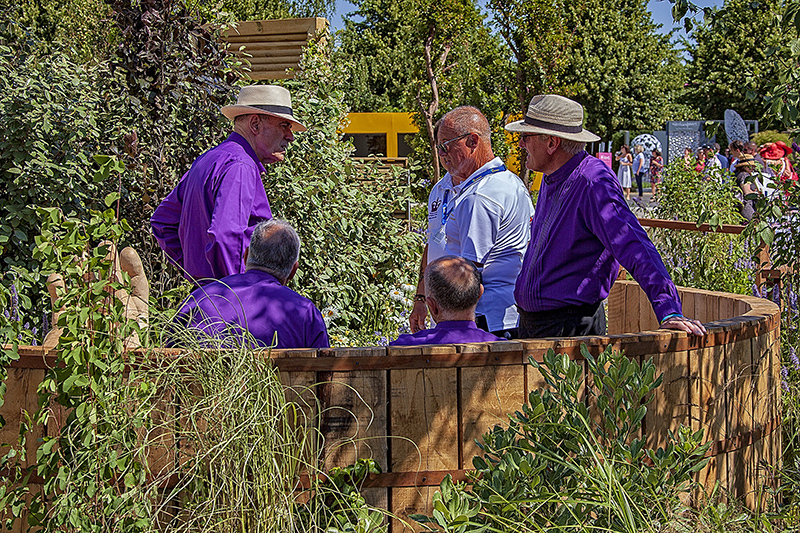 RHS Hampton Court Flower Show 2018 will see Edward's poetic gardening style return with a special garden designed for Limbcare; the charity that supports amputees, founded by the longest surviving quad amputee in the UK, Ray Edwards, MBE. The Limbcare Garden aims to offer a message of inspiration and hope to amputees and their families as they confront the challenge of accepting a dramatically changed future. When designing the garden Edward picked up on Ray's positive energy. "It has also been important to involve amputees in the creation of the garden. This is another example of the way Ray inspires and motivates other amputees and I'm delighted about the number of people Limbcare has helped, who have signed up to help us build the garden." Aesthetically, a wistful English garden, the Limbcare Garden uses the healing power of nature ti create a haven for amputees to let go of their traumatic memories, let nature absorb difficult emotions and learn to think differently about what’s important in life. The Limbcare Garden is wheelchair friendly with plenty of places for socialising – one of the key elements in the mental healing process. As you enter the garden, the bridge over a tranquil water feature symbolises how the Limbcare charity offers a helping hand for amputees to cross the waters below. Another water feature has joyous, uplifting fountains. One seating area provides a social space to share and another seat is an intimate space to get away.The planting has been designed to offer a breathing space away from the clinical environment, a human, calming space where the power of nature to heal is manifest. Calm blues create a sense of dependability and tranquility and the addition of yellow brings out optimism towards the future. The Hampton Court Limbcare Garden is designed to create awareness of Limbcare’s ambitious project to open a £3m Wellbeing Centre for amputees, to help them transition from hospital to home. Edward’s garden design will form an important central courtyard for those who visit the Centre.